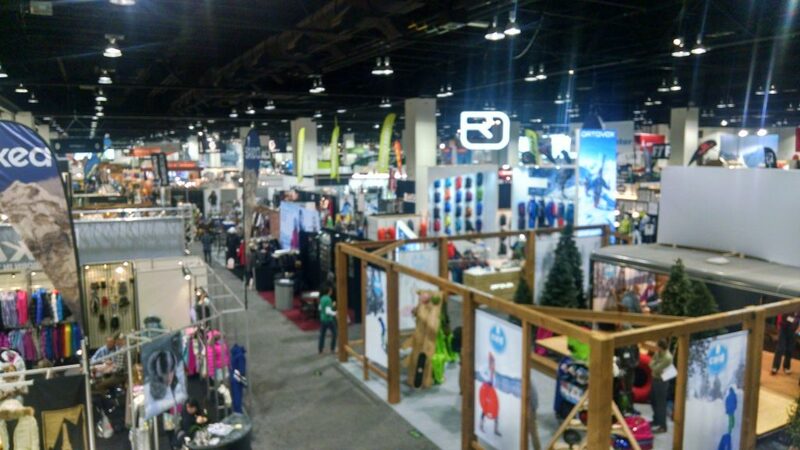 Denver is NOT The Outdoor Retailer Answer - Ski. Play. Live. 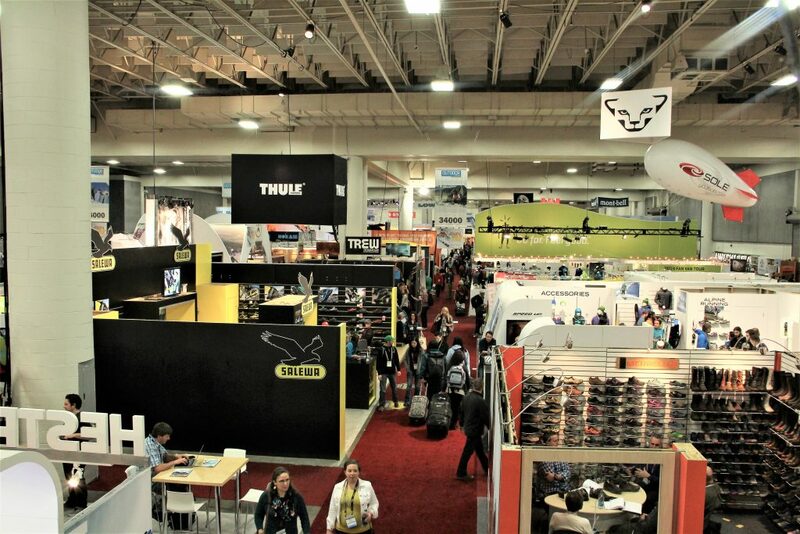 Outdoor industry executive leaders met last week and came up with the brilliant news that the Outdoor Retailer Show should be based in Denver. First off, big surprise. Not. With the SIA Snow Show and OR Winter Market merging for 2018 and beyond, it was just a matter of time before the newsies came out and said what we all knew was coming. The board peeps like Beaver Theodosakis, PrAna, Kim Miller, SCARPA North America, Dan Nordstrom Outdoor Research, Casey Sheahan, Keen Footwear, Dawson Wheeler, Rock Creek Outfitters joined together to claim that the “long-term survival” of the OR show rests at the Colorado Convention Center. For decades, the Snow Show and OR were the events for manufacturers to sign multi-thousand-dollar orders from retailers anxious to load up on next season’s skis, boards, boots, outerwear and accessories. But as purchasing dates moved up to November and December, a January Show became more of an expensive meet and greet and grumblings strayed toward the downfall of both shows. Of course, it makes sense for Colorado to woo the outdoor industry. It puts heads in beds, generates at least a month’s worth of media exposure and floods the airport, highways, and restaurants. Who goes to Denver in the winter? Nobody. 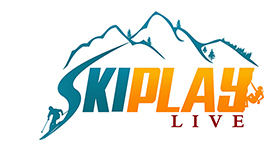 Visitors fly in and travel on to the various Colorado ski resorts…HOURS away. You can’t say the same for Salt Lake City. People STAY in Salt Lake to ski. When SIA hosts the on snow demo, folks have to book a second hotel stay at Copper Mountain; not the case during the OR On Snow. The one thing OR had over the others was the enthusiasm and networking party. SIA had it in Vegas. Lost it in Denver. The folks that came to SLC may have bitched that they couldn’t find housing but no one complained about the powder or vibe. People came to the Show because they loved it, not necessarily because they sold gear that week. Hundreds stayed on, to ski or, in the summer, to play HARD. Again, you can drink great beer in Denver but the commute to outdoor play ain’t even close to what you get with a 20-minute drive from SLC. Perhaps OR will bring that vibe to the Snow Show and Denver. Or perhaps, the reverse will happen and it’ll bring ‘em both down. At that point, the regional shows just may sprout and flourish. Trade shows are notoriously fragile. The SuperShow, Comdex, MAGIC, Action Sports Retailer have all crumbled. Many folks in the outdoor industry had been speculating for years about OR’s fate and that perhaps it would be supplanted with such regional shows where manufacturers and reps would meet with retailers specific to the market they were attending. It’s a more personalized approach and it makes sense from a buyer’s standpoint. (If you are a shop in the east, traveling west to meet for four days during peak shopping time is a hardship). “There are many alternatives to participating in an expensive and time consuming show that falls at the end of the booking season. It would be foolhardy indeed to create additional reasons for participants to re-consider their options,” the OIA brain trusters threatened when talks about moving the Show to Las Vegas arose. If only those minds had visited Vegas for the SIA show when it was there for 37 YEARS. OIA recognized in their statement that Utah has a unique formula of outdoor amazingness and business but because of the Beehive State’s political lameass they felt forced to call their own bluff. The headliner brands at OR – Black Diamond, Patagonia, The North Face, etc.- had long threatened to leave the show if Utah wasn’t going to support environmental protection initiatives. OIA met with Utah Gov. Gary Herbert and it was obvious he would continue to fight to transfer federal lands to the state, nullify the Antiquities Act, and undo Bears Ears National Monument. Liberals basically begged the governor to support Utah’s $12 billion outdoor recreation industry by protecting public lands. But Herbert is backing the lawsuit to overturn Bears Ears and reduce the size of Grand Staircase-Escalante National Monument- both valuable pieces of property to oil dripping companies. A move to Denver is a political one. It’s unfortunate that OIA saw yanking an event that rakes in $45 million for Utah’s economy as their only viable option. At least when they were here, making threats, it created some checks and push back for the public land grabs the State might consider. Like Metcalf said, Colorado doesn’t need help. When a marriage goes bad and the spouse up and leaves for good, who ultimately suffers? The children. Salt Lake, you F@#$ed up royally. OIA SO DID YOU!! *The Annual Snow Show will be held Jan. 25-28, 2018. Go visit the factories in Asia that make most of the outdoor soft and hard goods. Then take a ride on the dirty fuel burning freighter as it ships the stuff around the world. Then judge if it is Utah government or the outdoor industries greedy, dirty manufacturing practices that are effecting the environment. This is a hypocritical industry. The consensus on the floor seems to be that the political grumblings are a ruse to hide the fact that these large shows are dying; Patagonia’s “boycott” was more about saving money and hassle than making a stand, as no buying is really done at OR anymore; and the move to Denver is a last-ditch effort to resuscitate the show. Well written, Jill. I haven’t dared touch this topic. I’m very sad to see OR leave the way they did. It was a subdued show this year as minds had already packed up. Shame. The next article will be how Denver killed OR. teehee. In today’s world, I can’t imagine there are many trade shows that are growing/booming. I’m sure there are exceptions, but the amount of money and resources needed probably isn’t very cost effective for corporations these days. Having said that, I also think states or cities need to be careful and weigh their options whether or not they want to make special deals for events like these if they are good for the local economies long term. Pingback: USA CLIMBING RETURNS TO SALT LAKE CITY - Ski. Play. Live. What do you think are some good alternatives (besides Vegas) for the show? With trade shows seemingly in danger, you wonder how political games endanger their livelihood. Regrettably, it’s never been a more volatile climate (or at least it seems so to me) with businesses caving in to pressure. Sure, you need to respond to consumers, but how much heat comes from consumers and how much comes from small, but vocal groups? It doesn’t sound like Denver was the best choice. Back to SLC of course. 🙂 But the stand has been made so I doubt SLC will ever be a frontrunner for the OR show. Many friends in the industry foretell of the large tradeshow demise and a big move toward regional ones. Smart idea especially considering what a cluster the show was this January. They tried to put two shows on at once during the same period of time. There was no organization to any of it. Hundreds of booths were trapped in no mans land in what felt like a basement. I hear you on the small vocal groups not necessarily speaking for the majority but isn’t that always the case? Sounds like considerable controversy for having the show in Denver. You do have to look at factors such as the things to do in a city besides the trade show. Given what you said, I’m not sure if the OR people made the right choice. I’ve been to Denver and it is a lovely city. However, I’d rather go to Las Vegas for any kind of convention. There’s more than gambling too. There are lots of shows and excellent dining. I LOVED when the SIA show was in Vegas. They moved it because the city wasn’t cutting them any deals. It was held at the Mandalay Bay Convention Center and the rent kept going up. Denver came in and offered them a sweetheart deal and show organizers jumped on it. It was never the same since. They may have saved $$ on convention space but attendees got the shaft. Higher-priced rooms, flights, transportation and zero vibe. The argument was that winter sports gear should be shown in a winter environment and they went out of their way to create on-snow, post-show demo days. Trouble is, unlike in Utah where you could ski for a couple of hours and then hit the OR show, you need to check out of your Denver hotel room and roadtrip 2 hours to another city to test skis. Not to mention that Copper Mountain in January rarely has decent snow. It’s been manmade and hardpack every year but 2017. Congratulations are in order for killing a once fun and thriving event. Sounds like someone was more concerned about making a deal to host a trade show somewhere it didn’t belong than having it where people could have a good time and do some business. Anyone who goes to trade shows or work events knows that they are about more than cutting deals. They’re also about networking and having fun while you’re doing this. I don’t understand why this concept is so elusive for some people.